Julia wrapped up her AKC Scent Work Advanced Container Title today. 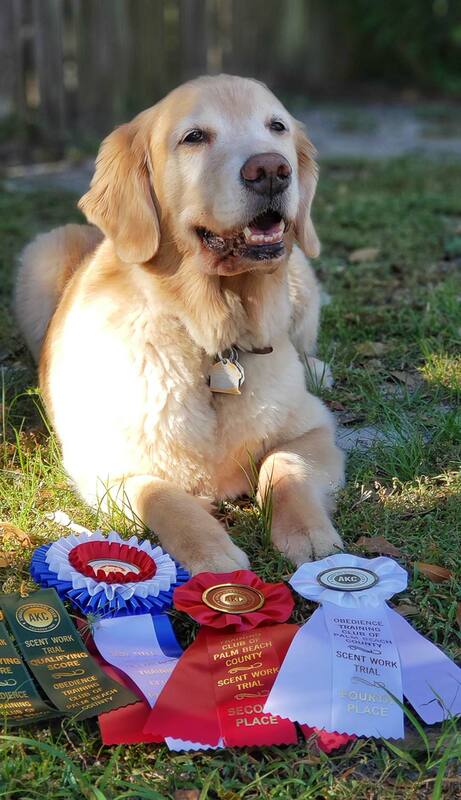 The Saturday 2 trial event was hosted by the Obedience Club of Palm Beach. She came in 2nd and 4th on the day! Good job Julia! Big thank you to the Obedience Training Club of Palm Beach County, judges, staff, volunteers and and other competitors. Super fun day!